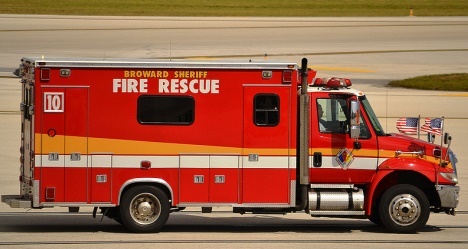 BSO's Department of Fire Rescue includes professional and highly-trained operations, support and administrative personnel. 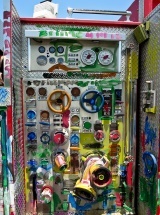 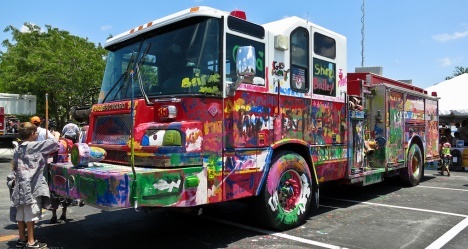 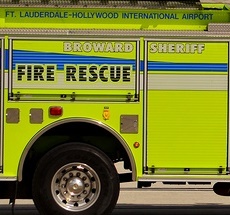 The department provides fire suppression, fire protection, emergency medical services and educational programs for areas of unincorporated Broward County, the Ft. Lauderdale / Hollywood International Airport, Port Everglades and local municipalities that have contracted with BSO for these services. 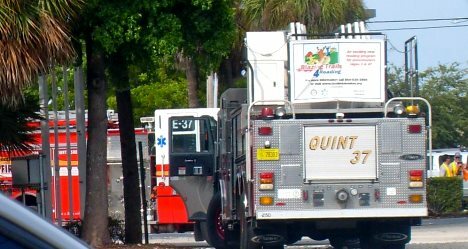 Help Needed If you are a firefighter in the BSO Fire-Rescue, we need your help to verify the station information shown below is current and correct. 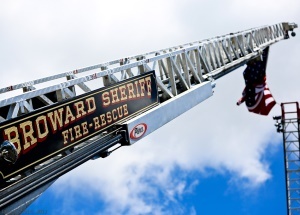 BSO's Department of Fire Rescue - was established when all operational and administrative responsibilities for Broward County Fire Rescue were transferred from the Broward County Board of County Commissioners to the Broward Sheriff's Office. 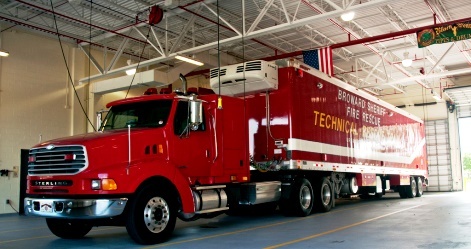 The department operates five battalions in 22 different locations throughout the county and includes 17 engines, 7 aerials, 1 Industrial fire truck, 3 aircraft fire-rescue crash trucks, 1 helicopter, 23 ALS transport units and a cross-staffed brush truck, chemical fire suppression truck and foam tanker. 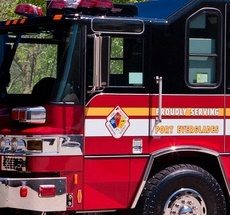 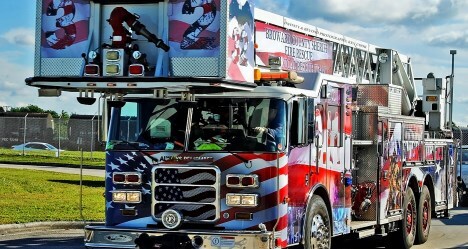 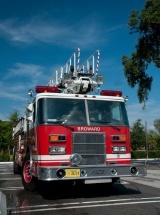 With more than 700 professional and highly-trained operations, support and administrative personnel, the department provides fire suppression, fire protection, emergency medical services and educational programs for most unincorporated areas of Broward County and to the municipalities of Weston, Pembroke Park, Cooper City, Lauderdale Lakes, Dania Beach and Deerfield Beach through contract agreements. 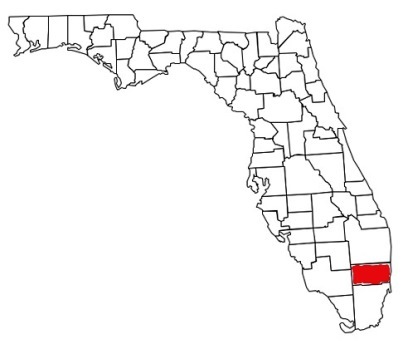 Additionally, the department serves Ft. Lauderdale-Hollywood International Airport and Port Everglades. 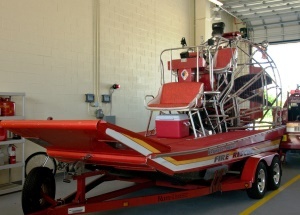 22 stations for fire suppression and Advanced Life Support medical rescue operate in various locations in the county, fifteen as engine companies and five as aerial companies. 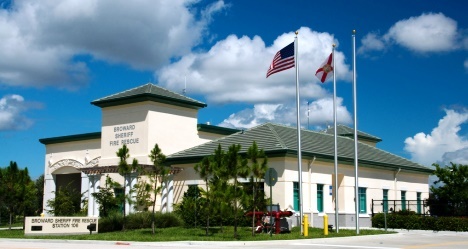 There is also an Air Rescue station located at the Ft. Lauderdale Executive Airport.